Swarovski crystal double heart pendant. 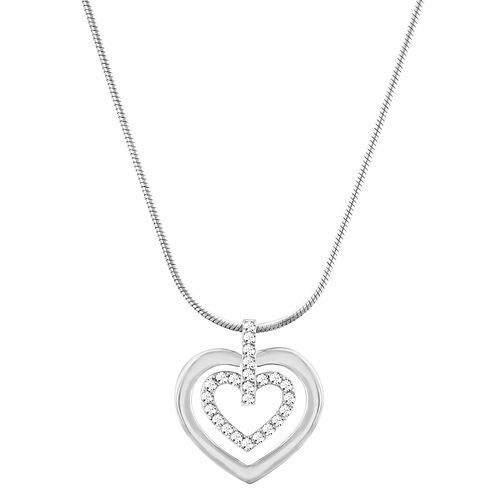 A double heart pendant with one heart being adorned with sparkling swarovksi crystal and linked together by an equally sparkly circle of crystals. Add a touch og glamour to your look. Swarovski crystal double heart pendant. is rated 5.0 out of 5 by 1.